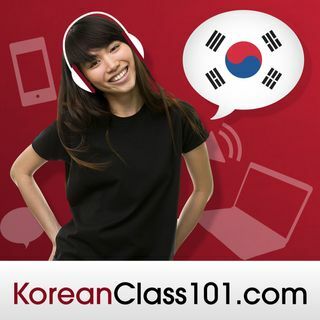 Don't forget to stop by KoreanClass101.com for more great Korean Language Learning Resources! 안녕하세요, 여러분 오정은입니다. 지지난 주에는 한국의 가장 큰 명절 중의 하나인 추석이 있었어요. 원래 추석에는 시골에 가서 친척들과 만나서 차례도 지내야 하지만, 저희 가족은 이번 추석에 아무데도 가지 않았어요. 왜냐하면, 여러분도 아시다시피 저는 고등학교 3학년이기 때문입니다. 이제 수능 시험이 얼마 안 남아서, 공부를 많이 해야 해서, 아무데도 가지 않기로 했지요. 다만, 추석에는 학교에 가지 않아서 좋았어요. 올해는 학교에 안 가도 계속 공부를 해야 하기 때문에 별 차이는 없지만요. 추석인데, 명절인데 방에서 계속 공부만 해야 하는 것이 참 힘들었어요. ... See More 하지만 어쩔 수 없지요. 게다가 친척들을 만나면, 공부는 잘 되고 있는지, 어느 대학에 갈 것인지 질문을 많이 받을 것이 뻔하기 때문에, 집에서 이렇게 조용히 공부를 하는 것도 좋았어요. 작년까지만 해도 추석은 정말 즐거운 명절이었고, 친척들 그리고 친구들을 만나서 신나게 놀 수 있는 연휴였는데, 올해는 수능이 얼마 남지 않아서 그런 재미를 별로 느끼지 못 하고 지나갔네요. 내년에는 다시 즐거운 추석을 맞이할 수 있겠죠? 여러분도 저와 비슷한 경험이 있으세요? 재미있게 놀고 싶은데, 공부나 일을 해야 했던 경험이 있었다면 말씀해 주세요. 저는 그럼 다음 주에 다시 찾아올게요. 감사합니다. Click here to listen to the entire blog. Hi, my name is Jeongeun Oh. The week before last week was Chuseok, one of the biggest traditional holidays in Korea. In principle, on Chuseok, we have to go to the countryside and meet our relatives and also do the ceremony, but this Chuseok, my family didn't go anywhere. That's because, as you know, I'm in my 3rd year in highschool. Now I haven't got a lot of time left before the college entrance exam, so we decided not to go anywhere. But on Chuseok I was happy because I didn't go to school. Although there wasn't much difference because I had to keep studying even though I didn't go to school. It was Chuseok, it was a holiday, and it was really frustrating to have to keep studying in my room. But I couldn't help it. In addition, if I met my relatives, it would be obvious that they would ask me whether I'm doing well in my studies and what college I will go to, so it wasn't so bad just staying at home to study quietly. Only until last year, Chuseok was a very exciting holiday, and I was able to meet my relatives and my friends and have fun, but this year, since I don't have much time before the college entrance exam, I couldn't have that kind of fun while it was passing by. I guess I can enjoy a merry Chuseok once again, right? Do you have a similar experience like mine? If you have an experience of having to study or work when you wanted to have fun, please tell me. I'll come back next week then. Thank you. 안녕. 난 정은이야. 지지난 주에는 한국의 가장 큰 명절 중의 하나인 추석이 있었어. 원래 추석에는 시골에 가서 친척들과 만나서 차례도 지내야 하지만, 저희 가족은 이번 추석에 아무데도 안 갔어. 왜냐하면, 너희들도 알듯이 난 고등학교 3학년이기 때문이야. 이제 수능 시험이 얼마 안 남아서, 공부를 많이 해야 해서, 아무데도 가지 않기로 했어. 다만, 추석에는 학교에 가지 않아서 좋았어. 올해는 학교에 안 가도 계속 공부를 해야 하기 때문에 별 차이는 없지만. 추석인데, 명절인데 방에서 계속 공부만 해야 하는 것이 참 힘들었어. 하지만 어쩔 수 없지. 게다가 친척들을 만나면, 공부는 잘 되고 있는지, 어느 대학에 갈 것인지 질문을 많이 받을 것이 뻔하기 때문에, 집에서 이렇게 조용히 공부를 하는 것도 좋았어. 작년까지만 해도 추석은 정말 즐거운 명절이었고, 친척들 그리고 친구들을 만나서 신나게 놀 수 있는 연휴였는데, 올해는 수능이 얼마 남지 않아서 그런 재미를 별로 느끼지 못 하고 지나갔네. 내년에는 다시 즐거운 추석을 맞이할 수 있겠지? 너희들도 나랑 비슷한 경험이 있니? 재미있게 놀고 싶은데, 공부나 일을 해야 했던 경험이 있었다면 얘기해 줘. 난 그럼 다음 주에 다시 찾아올게. 안녕.